Could you send me a copy/pdf of your article/book/report? Thx in advance for your work. Thanks very much for your generous donation. Just sent you a copy. I love your work and candidness Jay. Believe me or not early morning at work I am excited and ready to digest your content first before staring my work. Thanks for all you do and help!!! You’re very welcome and thanks for all the support! Fantastic analysis. Appreciate the time you put into putting this together. 2. Are you able to post updates to your mining portfolio? I think many readers would agree that it would be good to see the weightings for each mining stock you hold? Thanks! Glad you’re enjoying the analysis. 1) I still really like Marathon Gold and think they have a quality project located in a good mining jurisdiction (Newfoundland). With Marathon, it could be “boring days” for awhile since they’re working on the PFS and it’s not scheduled to be release until sometime next year. My only real concern with Marathon in a bear market is their cash balance isn’t as high as some of the other developer names I mentioned in the ebook, and they don’t currently have the major partner locked in just yet. Initial CapEx is a little on the high side too but hopefully they keep discovering more ounces and can optimize it further in the PFS. I’m nitpicking a bit, and really, if they had a lot more cash, it would be a top pick for sure in the developer space. My biggest fear is future financings, in the event the market is weak and they can’t raise at a good premium. 2. I’m somewhat on the fence with this and still thinking about it. With mining stocks, my strategy has changed this year and I’m not as invested anywhere near as much as I was in 2016/2017, so the weighings may not give an accurate representation of things. Of course, if these mining stocks stay weak or collapse altogether, I may reconsider and look to get back in much more aggressively. I’m still following the space very closely and still making trades here and there, but to be honest, right now my focus is more so on trying to figure out where I want to live long-term and possibly even purchase a personal residence. Yeah, it’s kind of a year of transition for me right now. Just sent through a donation. Would appreciate a copy sent through to my email. Thanks! Thanks Benjamin! Just sent you a copy via email. Hi, the paypal link doesn’t seem to be working for me. Is there an email address I can send to directly or some other way to do it? Thanks bro! Sorry about that. I’ve updated the link with a PayPal button instead. If that doesn’t work, you can try the one on the side menu, near the top. If you or anyone has any issues, please let me know. Thanks! The link is working now. This is going to be my one big/discretionary expense this month. I have been trying to focus on more frugal hobbies (reading, biking), but thanks for all the writing. I’m also focusing spending on, well, the kinds of things that really impact happiness (laughing, hanging out with friends, being connected with people). I am working to unpack all the like “buy a toy, be happy” programming, and to stop endlessly researching products online. It mainly comes from the fact that I like to learn too…so I want to apply that to managing the market. 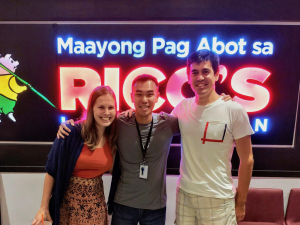 I’ve been reading through this blog for months now, it has become clear that financial freedom is possible, but may require a significant amount of learning, experimentation, managing risk not gambling (aka patience), and facing what I need to do head-on. Looking forward to learning about mining stocks, especially given they are down in the dumps. I made a donation as I really enjoyed reading your blog over the years, and how you’re keeping it real. I love the cover of your latest publication, too. I feel like that polar bear delighting on consuming mining stocks for my portfolio. I’m looking forward to reading about your latest mining stock investing insights. Good luck in your new publishing endeavors. Appreciate the donation and all the support! Haha, that’s funny and I really do hope once all these bears out there get their fill and are well situated we can reverse course and head up for a spectacular rally again, just like 2016. Hope you enjoy the read! And I haven’t forgotten, if I’m ever up in the Truckee/Lake Tahoe area, I’ll be sure to give you a shout. Sent you a donation yesterday. Would appreciate a copy sent through to my email. I have a different email address of yours on file, so it looks like it got sent there. No problem, I’ll send again to the one that’s listed here. Please let me know if you don’t receive it shortly. Email sent, hope you enjoy it. I just donated. 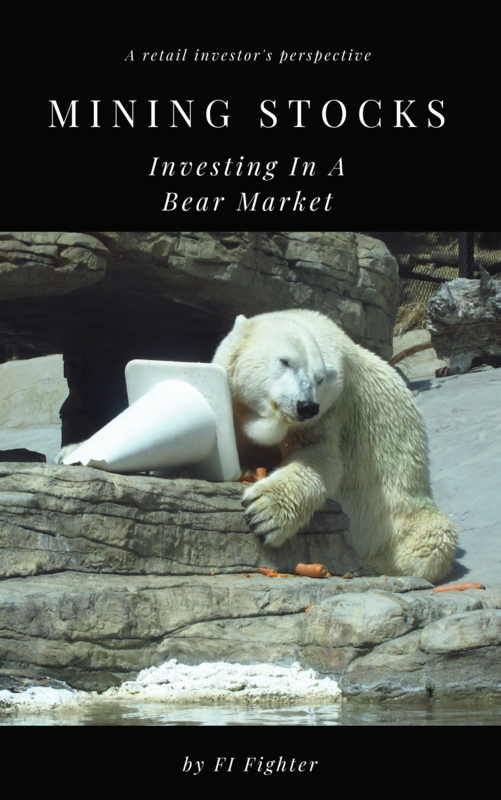 I am very interested in your new ebook on Mining Stocks: Investing in a Bear Market. Thanks for the most generous donation! Email sent, I hope you enjoy it! Got it, and many thanks! Email sent and I hope you enjoy it! Hey – just sent through a donation. I’m a relatively new reader but enjoy your content. Can you send across the mining book? Got the donation, much appreciated! Email sent, hope you enjoy it!